Americans are some of the most overfed and yet undernourished people on the planet, and it shows. The United States ranks 40th in the developed world for life expectancy even though we spend far more per person on health care than any other country. A new study from the National Research Council and the Institute of Medicine says that the life-expectancy gap between the US and other developed countries is only getting larger.Shocked? We should be! Proper nutrition and healthy lifestyle plays an important role in helping prevent many major diseases (like heart disease, diabetes and even cancer), but getting proper nutrition in our modern world can be a challenge. • Our bodies cannot produce many of the nutrients we need, so they must be found in the food we eat and the supplements we take every day. Additionally, if the food we are eating is lacking nutrients, then supplementing can really be beneficial in staying healthy. • Most people say that they eat well, but research shows that 80 percent of Americans are not eating enough servings of fruits and vegetables.i We are also not getting enough Omega- 3 oils (EPA/DHA), antioxidants, B vitamins or a host of other nutrients our bodies need. • The amount of processed food that we eat has been on a steady climb ever since the invention of the refrigerator. 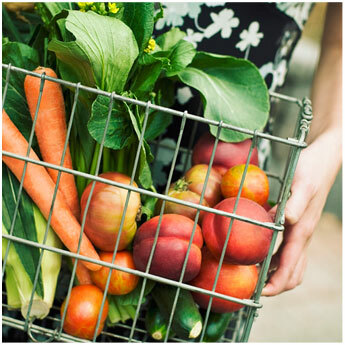 Today, most of us eat more processed food than non-processed food. Convenience has become more prized than quality. • Our high stress and fast paced lives increases our needs for nutrients, especially the B vitamins. • The world is a much more toxic place than it used to be. Our bodies are exposed to more pollutants and under more oxidative stress than ever before. We need optimum nutrition in order to help our bodies battle these stresses. None of us are perfect, there are days when you might eat well, but then days when you don’t. A multivitamin, along with other key nutritional supplements can be the insurance policy you are looking for to fill in those nutritional gaps that may leave us vulnerable. i Krebs-Smith SM, Guenther PM, Subar AF, Kirkpatrick SI, Dodd KW. Americans do not meet federal dietary recommendations. J Nutr. 2010;140:1832–1838. ii Davis DR, Epp MD, Riordan HD. Changes in USDA food composition data for 43 garden crops, 1950 to 1999. J Am Coll Nutr. 2004 Dec;23(6):669-82. PMID: 15637215. This entry was posted in Health, Personal and Professional Development, Shaklee, Supplements, weight loss on March 20, 2013 by michaelpage970. Alfalfa garners a storehouse of nutrients. Its tap root reaches down as deep as 20 feet, searching out nutrients and minerals from deposits in the soil, while its leaves gather large amounts of chlorophyll through the natural process of photosynthesis. This entry was posted in Health, Shaklee, Supplements on March 11, 2013 by michaelpage970. This entry was posted in Health, Michael Page, Shaklee, Supplements, Uncategorized, weight loss and tagged blood pressure, cancer, diabetes, health, Heart Disease, Shaklee Clean, stroke, supplements, weight control, weight loss on March 7, 2013 by michaelpage970. Over the last few decades, there has been a lot of talk about what prevention steps you can take for good health. Such steps, in a daily routine, including getting enough water & sleep, brushing & flossing your teeth, reducing your stress, staying away from cigarettes, having a healthy weight, exercising, meditation, power of prayer, proper nutrition & whole food supplementation. In other words, taking care of body, mind and spirit. From my experience, when you talk to most people about their health they usually go into what is ailing them or what they are recovering/have recovered from. It is very rare to hear someone talk about all the health issues they have prevented by truly taking care of themselves. I believe the reason most people don’t talk about what they have prevented is because prevention is one of those things in life that, for most, seem to be a giant leap of faith. How does a person know that taking any or all of the positive steps above will prevent anything? And if so, where is the proof? Real proof has to come in the form of a peer-reviewed (reviewed by a products competition) and published clinical study. This study would also need to compare groups that took certain preventative measures to groups that didn’t to see if there was real positive or negative health differences. If there was a group of people who took prevention measures that were proven to work consistently, would others be able to take these same prevention measures and have a very good chance of receiving the same positive health benefits? If the answer to that question is yes, others would no longer have to take a leap of faith but would instead be able to use the information from the study to take a leap of intelligence towards better health! The first two groups were from the NHANES group, which is part of the World Health Organization. One of the most interesting parts of this study was that the Shaklee users group was, on average, 8 years older than the other two groups and had much better overall health. Shaklee users showed for lower rates of Type II diabetes, congestive heart failure, heart attacks, strokes, and emphysema to point out just a few. The Shaklee group, with far better overall health, also used far fewer medications in a year’s time on average compared to the other two groups (.6 meds compared to 6.4-14 meds). Shaklee is the only company that has proven that their natural supplements provide long-term health benefits for those that use them. One of the advancements that came out of the Landmark Study was Shaklee’s product called Vitalizer. This product is based on 12 clinical trials and the Landmark Study itself. With most companies, there is no clinical testing on their formulations. In other words, you are the crash dummy test for their formulations. The unfortunate thing is that when choosing healthy supplementation, it can be a blind leap of faith. With Shaklee you will have solid research and testing to help you make a leap of intelligence for your health. Best wishes to our health, let’s keep the conversation going! This entry was posted in Health, Personal and Professional Development, Shaklee, Supplements on March 5, 2013 by michaelpage970. This entry was posted in Health, Home Business, Michael Page, Shaklee, Supplements, Wealth, weight loss and tagged all natural, blood pressure, cancer, diabetes, free leads, free training, free webinars, health, healthy Home, Heart Disease, home business, Shaklee Clean, supplements, weight control, weight loss on February 25, 2013 by michaelpage970. I encourage all of you to watch this video in it’s entirety. The Empower Network is the ideal vehicle to promote Shaklee around the Globe. The platform can also be used to get more MLM leads for any business. In my opinion none of us can afford to get sick. Shaklee is also dedicated to the health of the planet. So if you are looking for a way to get more free MlM Leads you have the perfect marriage. Think about this. The stock market is having the best January in almost 20 years and is near it’s all time highs. Real estate prices went up 14 % in the last year. This entry was posted in Empower Network, Health, Home Business, Internet Marketing, Shaklee, Supplements, The Opportunity, Wealth, weight loss and tagged affilliate marketing, all natural, attraction marketing, chemical free, facebook, free leads, free training, free websites, Global Business, health, healthy Home, home business, internet marketing, mlm, mlm recruiting, nutrtion, weight loss on February 17, 2013 by michaelpage970. Folks this a down to earth look at one of the many reasons people join the Shaklee Family. Long term residual income is another great reason to team up with Shaklee. With social security being a huge question mark and company pensions in serious trouble build your own retirement by helping others do the same. Freedom to Achieve is my hope for all of you. This entry was posted in Health, Shaklee, Supplements and tagged all natural, attraction marketing, blood pressure, cancer, chemical free, diabetes, facebook, free leads, Global Business, healthy Home, home business, weight control, weight loss on February 17, 2013 by michaelpage970. Ø C Reactive protein may be the most important value. Measures inflammation in the body. Predictive of future cardiovascular disease risk, strongly linked with the risk of developing certain cancers, diabetes and Altzheimer’s disease. Ø Heart disease is the number one cause of death in the U.S. 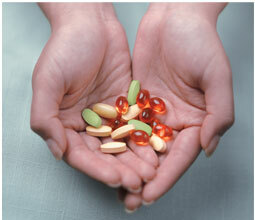 In all three conditions those who used Shaklee supplements had markedlybetter heart health. Ø The study showed a 4-5 times higher incidence of diabetes in the non-user and multi-user group. Diabetes is epidemic in the U.S. but those taking Shaklee had remarkably less incidence despite many of them being over weight. Ø Perhaps one of the most telling results. Think of the side effects- liver and kidney damage, brain fog, poverty vs. living medication free. The Shaklee members were on average 10 years older than their counterparts. They also retained normal levels of blood pressure, HDL cholesterol, triglycerides, and homocysteine. These are markers of inflammation and are warning signals. The other groups did not retain normal levels of these markers. The Study proved that taking generous amounts of high quality (Shaklee) supplements provides substantial health benefits over the long term. This entry was posted in Health, Shaklee, Supplements, weight loss and tagged all natural, chemical free, free leads, free training, free webinars, free websites, Global Business, healthy Home, Heart Disease, home business, internet marketing, mlm, mlm leads, mlm recruiting, nutrtion, Shaklee Clean, stroke, supplements, weight control, weight loss on February 17, 2013 by michaelpage970.